One of the greatest examples of God's continuing love for the Jewish people can be found in the most important prophetic development of this age — the regathering of the Jewish people back into the land of Israel per Jeremiah 16:14-15; Isaiah 11:11-12 and Ezekiel 37. The largest Jewish population to the south of Jerusalem in the mid-20th Century consisted of the Black Jews of Ethiopia. No one knows for sure the origin of these Jews. The most common speculation is that they resulted from a union between King Solomon and the Queen of Sheba (2 Chronicles 9), but there is no biblical evidence of this. All we know for certain is that they existed in New Testament times because Acts chapter 8 contains the story of an Ethiopian Jew who came to Jerusalem to observe the feasts and who was converted to Christianity on his way back home to Africa by an evangelist named Philip. In the late 1980s the Jews of Ethiopia began to feel a tug on their hearts to return to the Jewish homeland. In response, they started migrating to Addis Ababa by the thousands where they camped out around the international airport, demanding transportation to Israel. 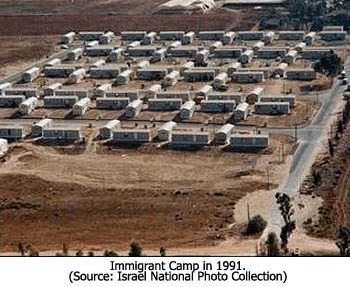 The government adamantly refused to let them leave, in fulfillment of the prophecy in Isaiah 43:6 which states that the Jews in the south will be held back. But in 1991, as the government began to crumble in the midst of a civil war, the United States and Israel intervened, providing bribes to military leaders. The government then relented and provided a 48 hour window of time for the refugees to depart. When I read about that development in the newspapers at the time, I immediately thought of a prophecy in Jeremiah 31:8 which reads as follows: "Behold, I am bringing them from the north country, and I will gather them from the remote parts of the earth, among them the blind and the lame, the woman with child and she who is in labor with child, together; a great company, they will return here." Today, over 6 million Jews — as many as were killed in the Holocaust — have been gathered back to their homeland, and they are still coming. In the fifth and last segment of our series on the prophetic fulfillment of the regathering of the Jewish people, we'll be look at the resistance to the Jewish return to their homeland. 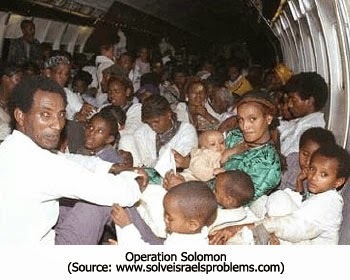 12) Joel Brinkley, "Ethiopian Jews and Israelis Exult as Airlift Is Completed," The New York Times, May 26, 1991, www.nytimes.com/1991/05/26/world/ethiopian-jews-and-israelis-exult-as-airlift-is-completed.html.